A neighbourhood that offers a fun mash-up of Hausmannian chic and South Asian colour. 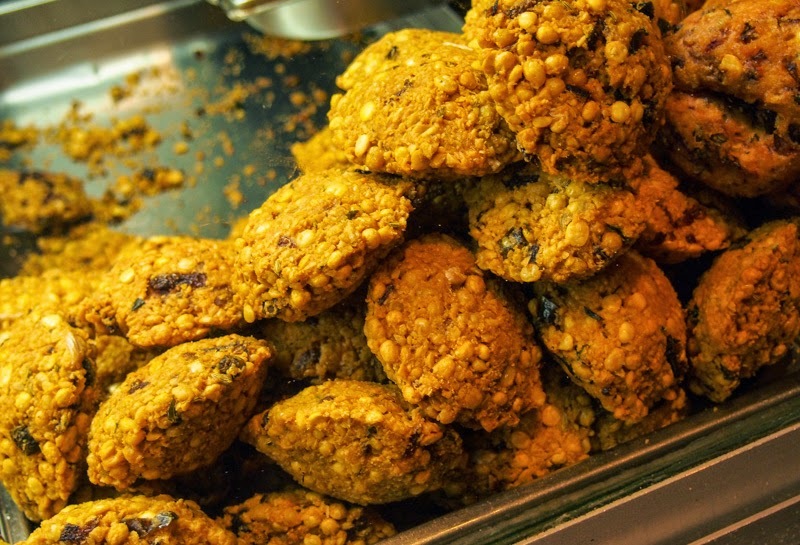 Food has always been one of the main attractions for many visitors to Paris. But if you tire of steak-frites and another vegetarian salad with bits of ham in it, come here for some treats from Paris’s Tamil community. Paper dosa? You gotta it. Bitter gourd and ladies’ fingers? Mais bien-sûr! And if if you’re desperately in need of a new sari, you’ve come to the right place, too. At the far end Rue Faubourg St Denis, north of the infamous Gare du Nord. Map. 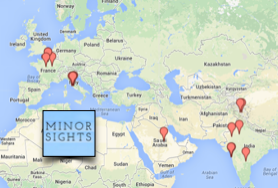 MOST PEOPLE TEND to forget that the French capital is a cosmopolitan metropolis that continues to attract immigrants from all over the globe. Sure, couscous from the Maghreb has practically become a national dish, and many people end up in (Indo)chinatown at some point to slurp some Vietnamese noodles. But there are many other ethnic groups, some of them without an obvious colonial connection to France. Let's get this party started- preparations for a Hindu festival. 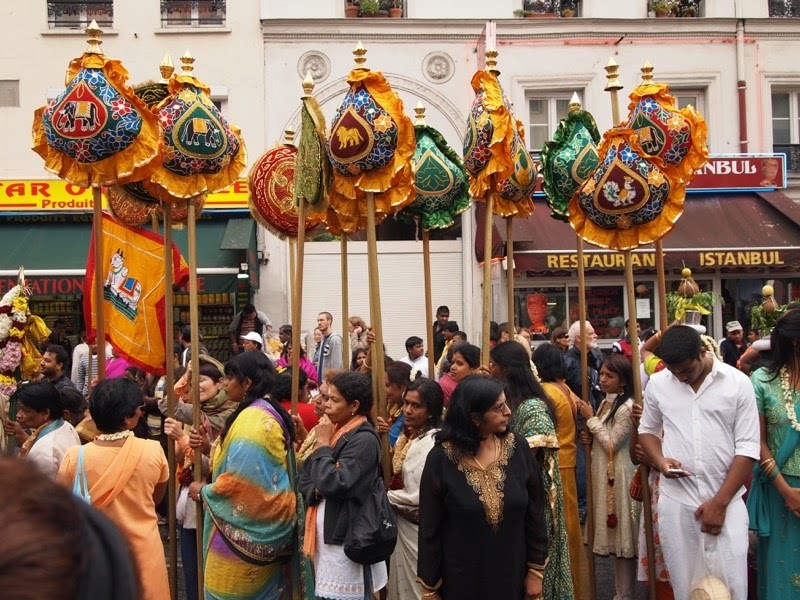 But Tamil Town (Fr: le quartier Tamoul) is the heart of the Tamil community in Paris, an ethnic group that hails from the southern state of Tamil Nadu as well as Sri Lanka. Their food is as different from the cream-laden curries of the North as Italian pasta is different from British Shepherd Pie. There actually is a colonial connection: the former French colony of Pondicherry is in Tamil Nadu, and for almost 300 years the French tried to teach South indians how to make a proper baguette (and failed miserably). Now the tables are turned (excuse the pun), and Tamil Town is littered with small restaurants serving South Indian food, catering both to fellow immigrants as well as culinary-adventurous Parisians. A significant number of Sri Lankan Tamils arrived in the ’80s and ‘90s to escape the civil war and joined their Indian cousins. Dal vada- available sans chili pepper for the delicate French palate. The best time to visit Tamil Town is during one of its festivals. During Divali, the Hindu festival of lights, colourful lanterns line the facades of the graceful Hausmannian buildings. 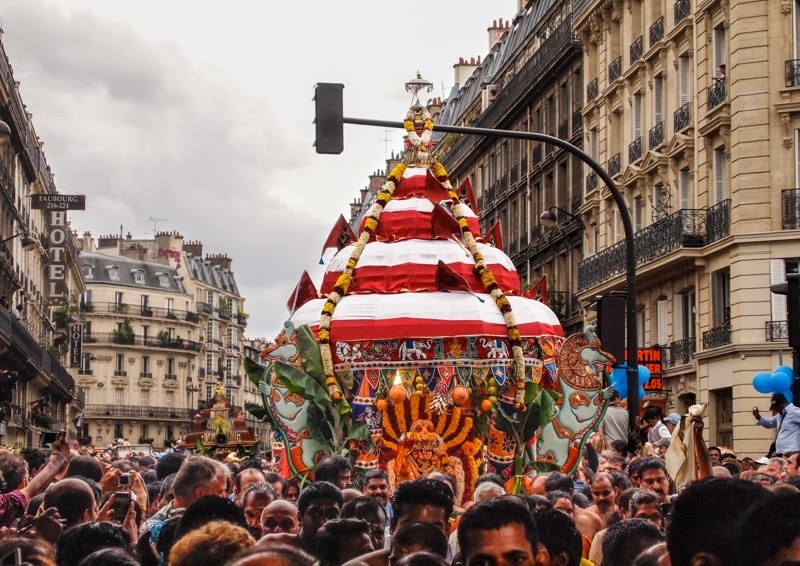 But the highlight of the year is the annual Ganesh festival, when the elephant-headed Hindu god is honoured with a massive parade through the quartier. 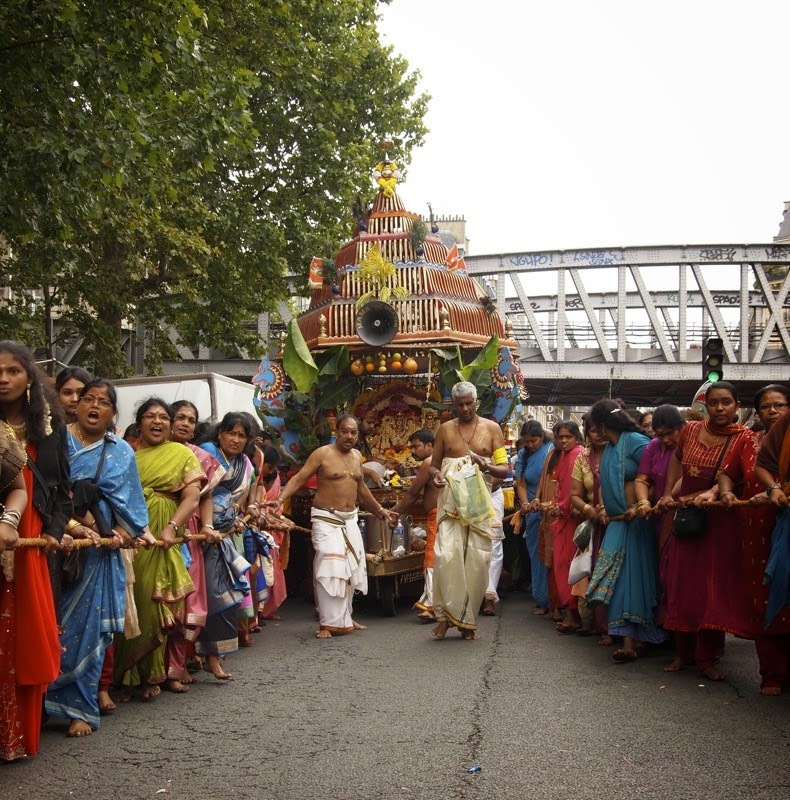 Usually this takes place in August or September, and, a metro ticket being a lot cheaper than a plane ticket, it is a great way to experience an Indian festival on the cheap. Yup, you're in Paris-even if it doesn't look like it. But any time of year you can stop by to do some urgent sari shopping, stock up on spices exotic fruits and ladies’ fingers (okra) in one of the many little supermarkets, or simply stuff your face with some excellent vegetarian food. 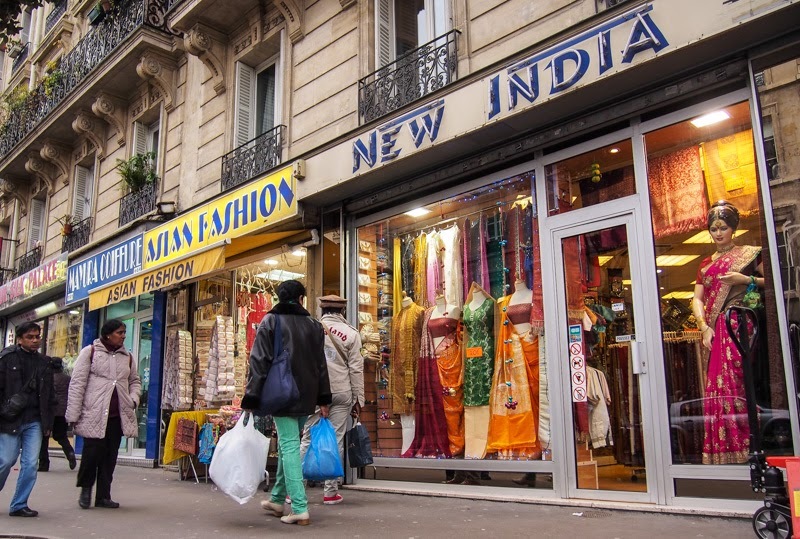 Paris has always been famous for its fashion- Tamil Town is no exception. 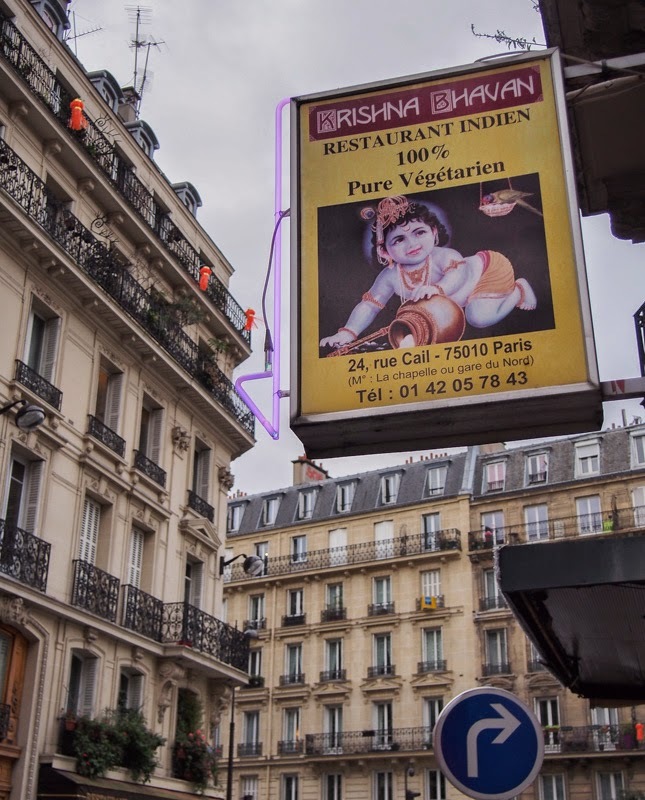 Minor Sights has dutifully sampled a number of the South Indian veg restaurants on offer, and we feel very confident sending you to Saravana Bhavan, on the edge of Tamil Town at 170 Rue Faubourg St Denis. Believe it or not, but Saravana Bhavan is actually a branch of a well-known South Indian chain, although to call it the McDonald’s of India would be grossly unfair. Saravana Bhavan’s founder, an ageing patriarch who like a Tamilian Don Corleone employs his whole family as well as his village runs a tight ship ensuring that the masala dosa in this restaurant tastes every bit as good as those in Madras. Enjoy! A one way trip to Tamil Nadu costs EUR 1.20 or so on the metro- alight at La Chapelle. 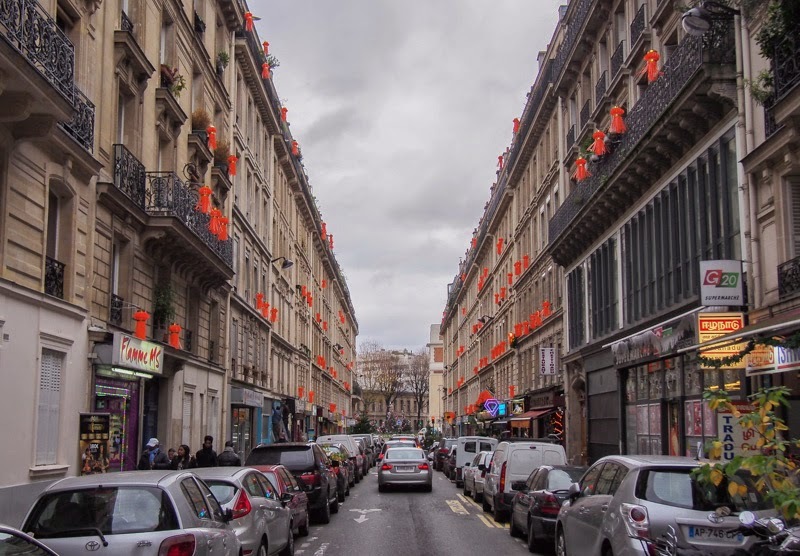 If you continue south along Rue Faubourg St Denis, you will eventually end up at Louis XVI’s original Arc de Triomphe and Anatolia Alley, an ethnic neighbourhood that offers a very different culinary experience. I adore Indian veg restaurants! There is so much flavour in their dishes and they certainly don't lack in creativity. Here in America chickpeas (my fave) are vastly underused. While I suspect that the Tamilians would vehemently agree, I think they would follow it up with a complaint that we don't use chili peppers enough either. As for me, I'm a cheese-eating surrender monkey because those guys don't have any restraint with the hot stuff.